I consider myself very blessed for so many reasons. My life has been touched by friends and family who have suffered and lost their lives because of cancer, and some who have suffered and survived cancer. I can remember clearly back to one of my closest friends being told she had cancer and needed immediate treatment. There were no options for her, she had to have chemotherapy, radiation and a mastectomy. She shares this story and offers support in such an amazing way and she is always an inspiration. A scare a few years ago that the cancer may have returned seemed harder news to bear than the actual cancer itself. But now, we can count the years together since the all clear was given. She has had her breast reconstructed and even though her cancer has shaped her future, it has not defined her. Being a survivor of life is what defines my friend. I am sure everyone who is reading this has a story to share. What I would like you to do is share a tea party! Simple. 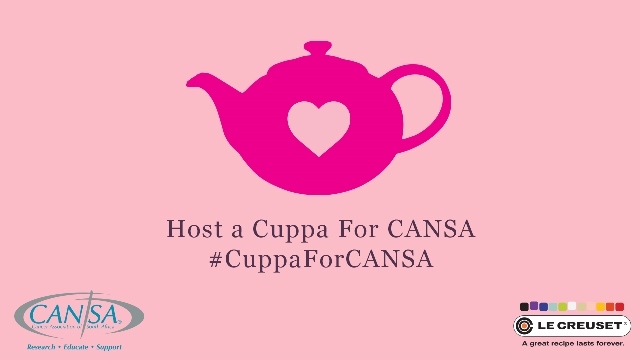 Invite your friends around and ask each person to make a donation to CANSA 2014 just by clicking the link from this blog post. The objective is to spread the word, and help raise funds and the website contains all the details on how you can do this. If you want to do even more then head on down to your local Le Creuset store and buy a few rose pink cappuccino mugs – Le Creuset will donate 30% of the sale to CANSA. All entrants to this competition will automatically be entered into the main Le Creuset customer competition, running at the same time. Three of the most inspiring tea parties will each receive a Le Creuset gift card of R1000.00, while the most inspirational tea party win a R10 000 Le Creuset shopping spree. 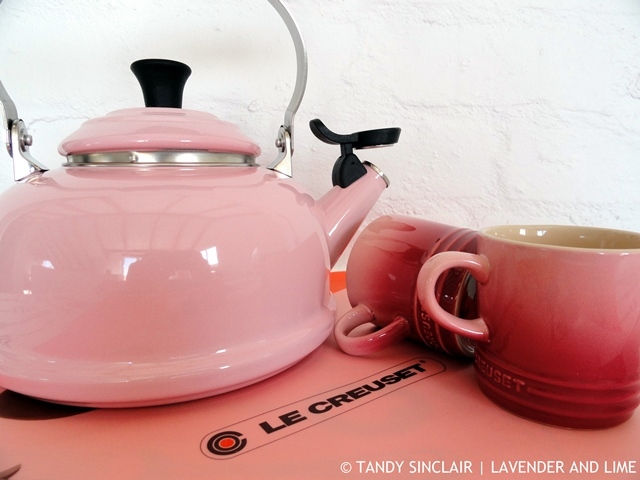 Disclosure: I was given a whistling tea kettle and 2 cappuccino mugs to host this give away by Nicola Pain Communications on behalf of Le Creuset. This post is in line with my blogging policy. We have a similar fundraising here in NZ which many of us get behind. A wonderful cause for a terrible disease that sadly affects so many of us and our loved ones.